Image 3855508: Camels at dawn in Sahara desert. 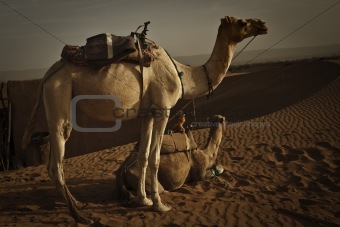 Image Description: Couple of camels at dawn in Sahara desert in Morocco. Horizontal shot.